Why not take the next steps and become a Senior Watersports Instructor? Completed our Watersports Instructor Traineeship? Already worked for a season in watersports and have a season under your belt – now what? Upskill with this Instructor Development programme and get further endorsements from the RYA and BC. Who is the Watersports Development Programme for? This course is a progression from your Watersport Traineeship and will enable you to further your qualifications thus becoming a more versatile and employable instructor. This course is funded as part of a full-time 16-19 year-old further education (FE) programme. 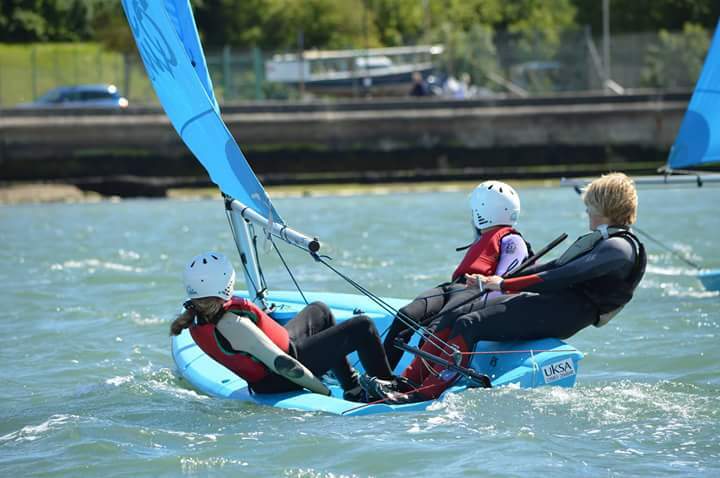 This intensive 26-week programme develops and moves graduates of the UKSA WIT (Watersports Instructor Training) programme towards the next stage of their watersports careers after a season’s employment as a watersports instructor. Designed to enable access to Advanced and Senior Instructor roles in the watersports industry, on successful completion of the course, students will receive an NCFE Level 3 Certificate in Sport (Outdoor Pathways)*. With further endorsements to your existing watersports qualifications, you will be able to seek worldwide employment opportunities. These additional tickets are very desirable to employers and increase your chances for sustainable employment. NCFE is a national awards organisation with units within the qualification follow the QCF (Qualification and Credit Framework), which awards credit values, a standard currency for student achievement across the qualifications system. 3 days/week practical, theory and/or work experience. Students yet to obtain a GCSE in Maths or English will need to attend study sessions at the Isle of Wight College. Attendance is compulsory in all timetabled sessions. Additional retake assessments will be the responsibility of the student, cost-wise and time-wise. There is no guarantee of students gaining qualifications. Entry to final examinations will be at the cost and arrangement of the student. All advisors are professionally qualified and have a wealth of experience, plus first-hand knowledge of the industry. A number of weeks will be dedicated to work experience on different sites and in unfamiliar environments. This is intended to broaden understanding and experiences while providing opportunities for networking. This desirable qualification offers increased employment prospects worldwide and it can be used as an entry point for professional yacht training.